As the nights draw in & you feel like you leave the house under the cover of morning darkness only to return by moonlight too, it’s tempting to batten down the hatches, retreat under your duvet, & emerge sometime mid-March. Sadly, work & other such obligations rather get in the way. Here at The Cornerhouse, we adopt a stoic attitude; this is apparently the most wonderful time of the year: we will at least try to bring out its best bits for you. Dimmed lights, twinkly candles, a roaring fire, & board games all help. If you’re not yet addicted to the Canadian board game, Crokinole – a curious mix of tiddlywinks & curling – now’s your time. Cornerhouse management, always keen to welcome a new Crokinole convert into the fold, will gladly teach you the rules (though probably keep some of the winning tactics to themselves). 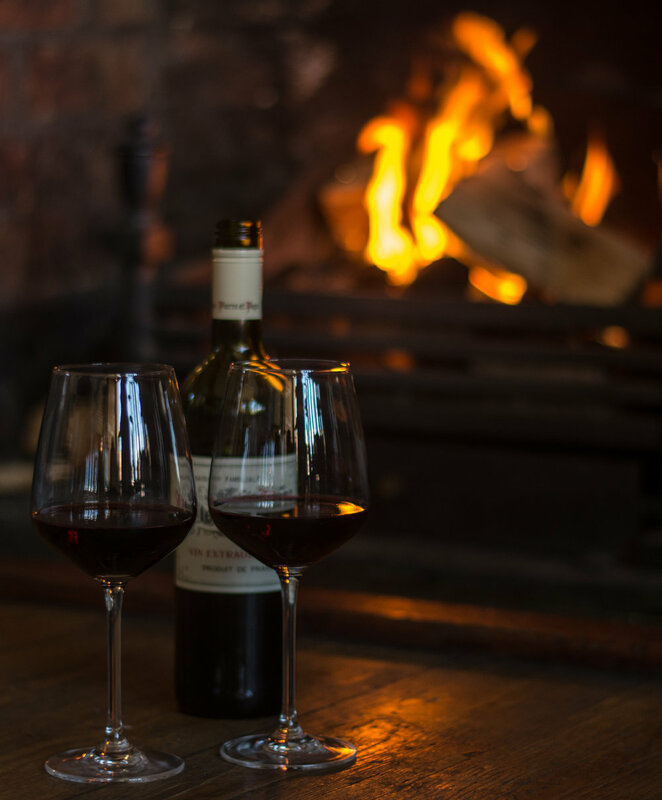 From November onwards, a glass of mulled wine or two wards off the chill, especially with the turbo addition of a ginger liqueur perhaps, or maybe an amaretto. The homemade mulling syrup is being mulled in vast quantities as we speak, in a bid to match the insatiable demand for it displayed by our customers last year. 7 litres on a December Saturday was our Personal Best of 2016. Let’s see how we fare this year!